H&G General Home Remodeling Corp.
John Kat Windows and Doors, Inc. Comment: Doing the research for the landlord. Am tenant on second floor apartment in a private house. Older house with very old windows that need to be updated to today's standard all weather windows. Comment: I would like to get an estimate for getting someone to replace a small window glass. Comment: We are selling our house and part of the contract is that we have to replace one bedroom window. 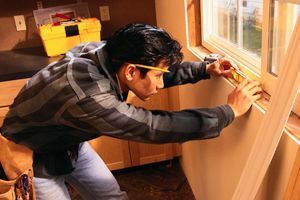 Baldwin Window Replacement Companies are rated 4.72 out of 5 based on 1,712 reviews of 38 pros. Not Looking for Windows Contractors in Baldwin, NY?